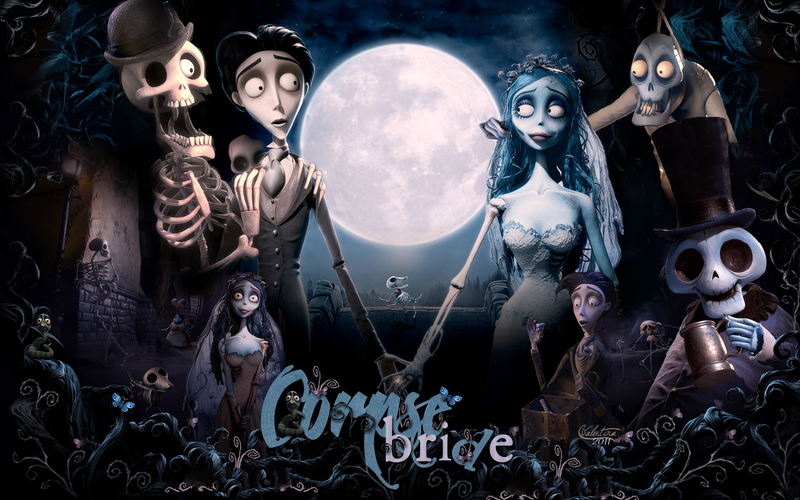 corpse bride. . HD Wallpaper and background images in the Halloween club tagged: corpse bride halloween wallpaper pumpkin halloween movie tim burton nightmare before christmas gothic. This Halloween wallpaper might contain anime, comic book, manga, and cartoon. ☆ Are you a good witch...or bad? The Simpsons Version of Poe's "The Raven"